Usually, I don’t do ‘favourites’ posts, only because my favourites don’t tend to change a lot! If I like something, its generally on heavy rotation, and places in my hall of fame are hard won. 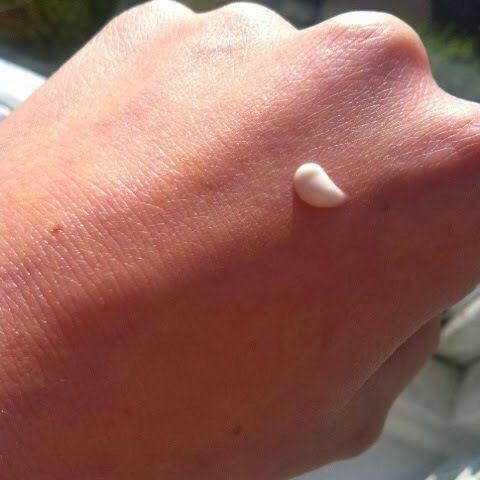 The changing seasons really affect my skin for some reason, so I always make a point of using products that are sure to deliver around this time of year. 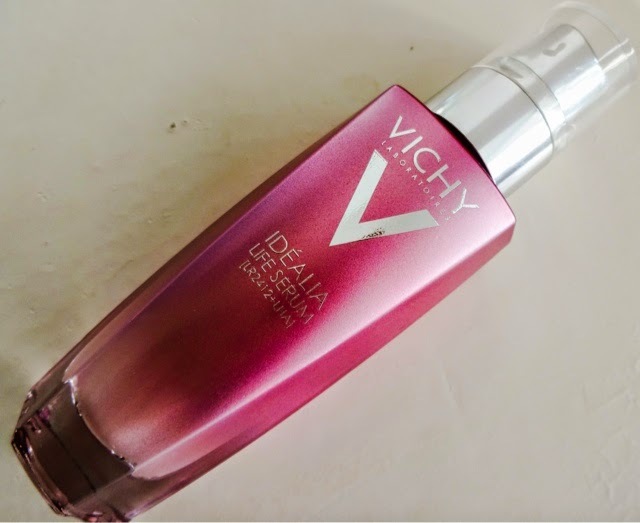 I’ve started using Vichy’s Idealia Life Serum again and its just so perfect. The formula is gorgeously lightweight and shot through with a pearlesence – a mix of pigments that balance the complexion and help skin to look vital and fresh. Like all the skincare I love, Idealia Life is a science heavyweight, with a whopping 27 patents on its formula! Despite all this technology, its reasonably priced as well (£29.50 for all that science!). It delivers a smooth, glowing finish that targets all those lifestyle factors the modern world likes to mess up for us – a lack of sleep, pollution, stress, UV rays. The things that age our skin, that we sort of accept as part of a busy life – but its good to know you can reverse that damage with a pump of this, night and day. 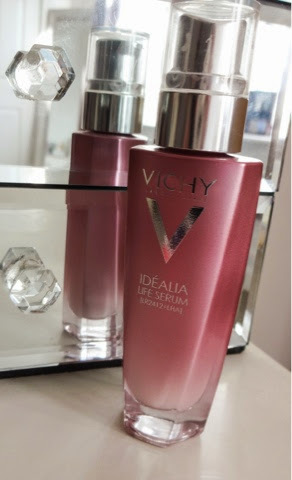 It feels so light on the skin and doesn’t leave a residue to mess up your maquillage. I’ve found myself relying on it at the moment to combat all the stress from the house move and the colder weather and its working like a dream. I notice its really softened the lines on my forehead, which is one of my main skin concerns. 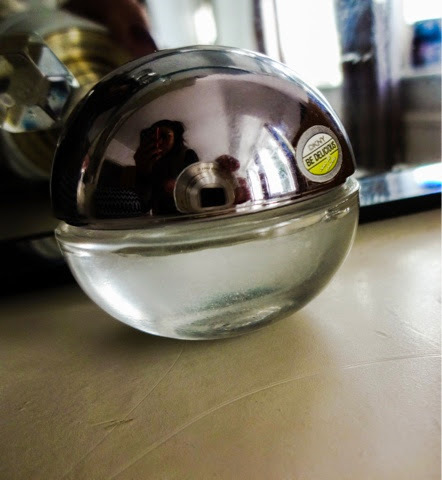 I’m really enjoying using this to pamper my skin and give it back some lustre. With stressed-out skin come sore, chapped lips and I seem to be going through a ton of lip balm at the moment. 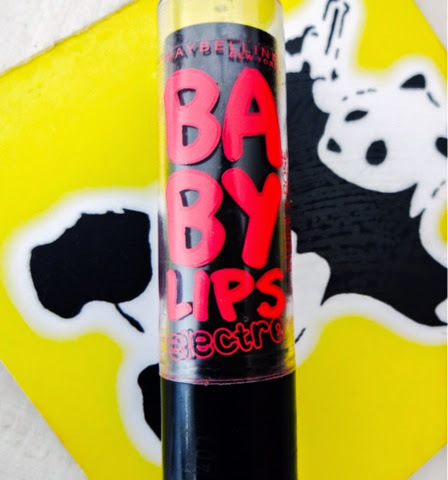 By far the most enjoyable is this little lovely from the Baby Lips Electro range Maybelline brought out. Who doesn’t love these babies? 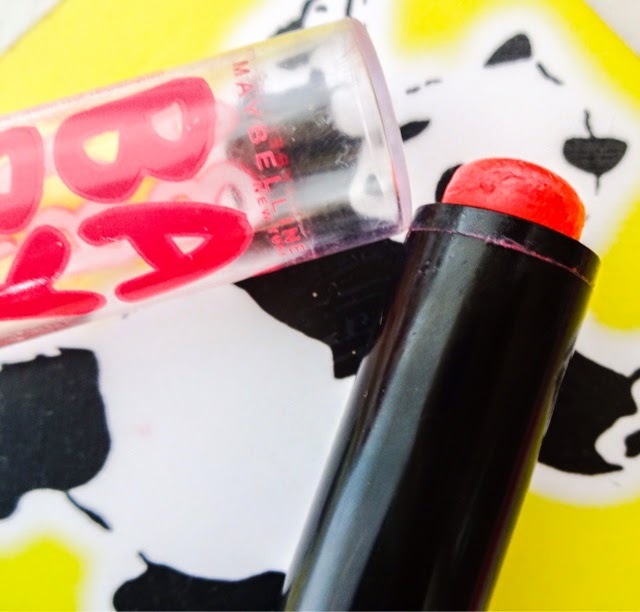 A conditioning dream with a great colour – they’re the answer my sore lips have been longing for. The Electro line re-imagines the balms in crazy bright colours. I fell in love with bold, neon rose colour as soon as I saw it, and I’m reaching for it all the time at the moment. It makes a bold colour really wearable, because of the sheer texture, but still punchy enough to make you feel dressed up. This is never far from my grasp at the moment! A lot of skincare but that’s what I’m obsessing over. 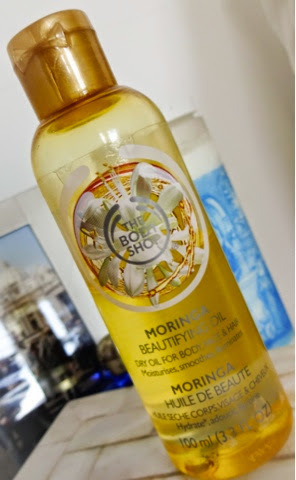 And none more so than my beloved Beautifying Oil from The Body Shop. This little multi-tasking wonder smells so good! 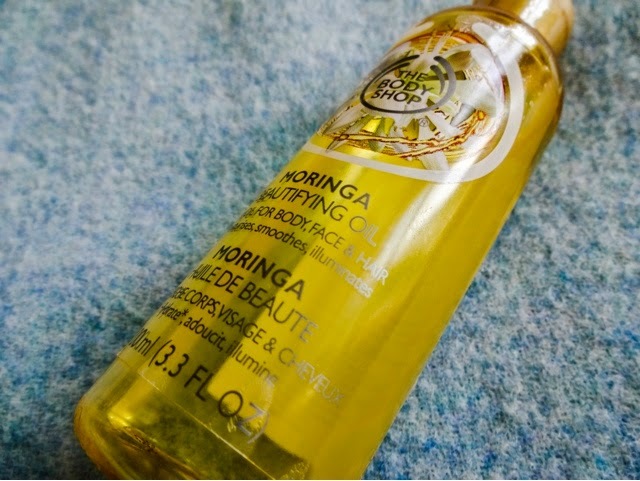 Moringa are blooms from a tree native to Africa they call ‘the tree of life’ and is supposed to have anti-aging properties. As much as I adore getting dolled up, there’s nothing like coming home at the end of the day and taking off your make-up, is there? And for me, the real ‘Ahhhhh!’ moment is after I cleanse and I slap some of this on. It’s so light and moisturising. I let it sink in overnight and then wake up to a wonderful hydrated glow. But this has so many other uses to. I like to put a drop or two on the dry ends of my hair to condition and perfume it, and its also great to add to the bath as well. Don’t think I could be without this now. 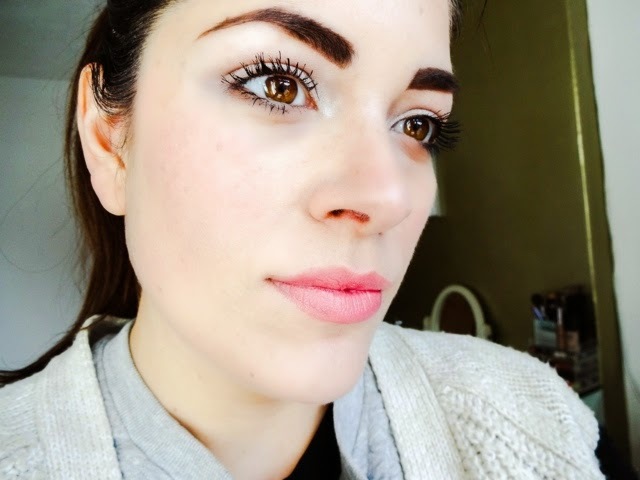 As I often say, I am super fussy with mascara. Lashes are important to me and I need a formula that’s a little bit wow. The brush is also important – one that defines well and really grips the lashes is essential for good coverage. So when I find ones I love, I tend to stick to them like glue. And 1 Seconde is definitely on my regular rotation now! 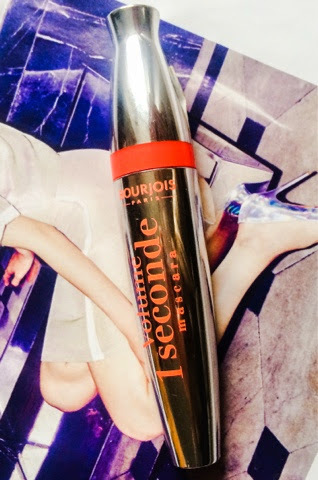 I’d been pretty attached to my Mac In Extreme Dimension before finding this, but I reckon the Bourjois version does almost as good a job, and for quite a few less pennies. 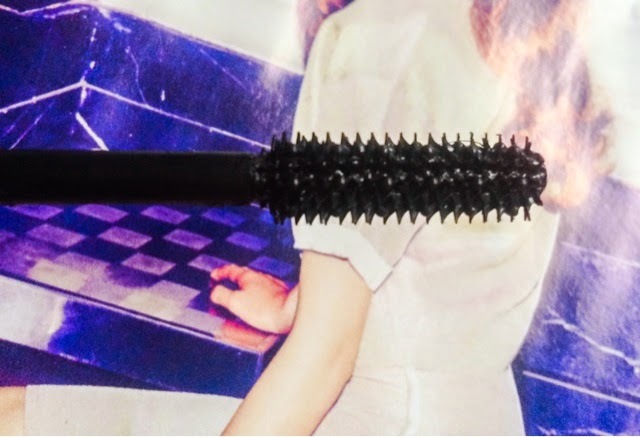 The brush is a full of little silicone spikes that do a great job of separating and fanning out the lashes, and the formula is very buildable, but without clumping. Its love! I honestly don’t think I could live without this. That may sound dramatic, but when you hear how many things I use it for, you’ll understand. 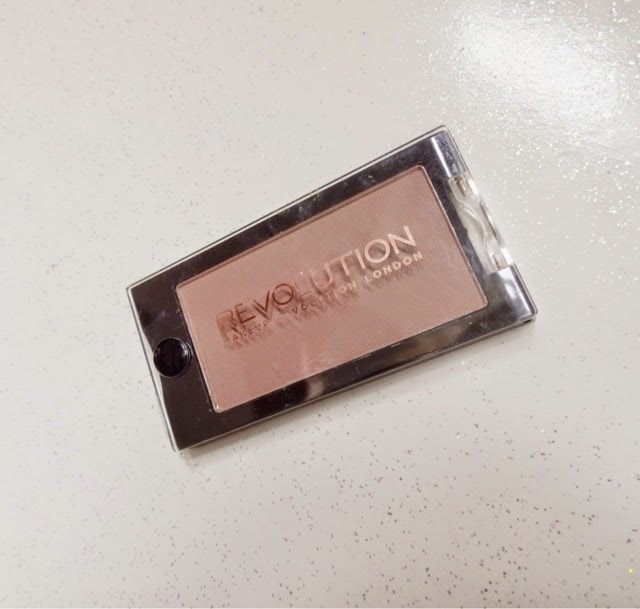 The Makeup Revolution shadows are all amazing quality and such good value – you can pick up these monos for just £1 each! 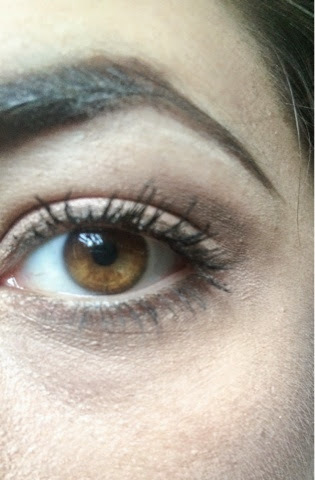 I rely on this for my daily ‘neutral eye’ - the go to look for the office when I’m half asleep in the morning. 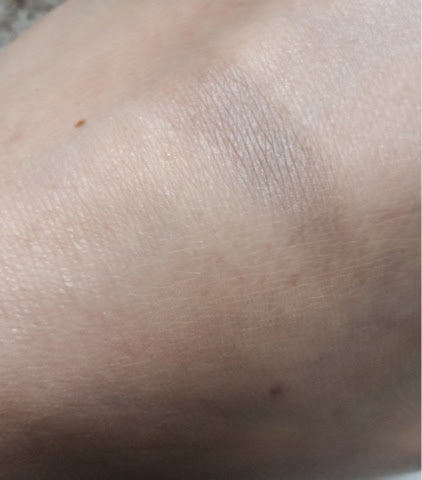 Its also a great crease colour for most looks as its sort of like my skintone but four shades darker. 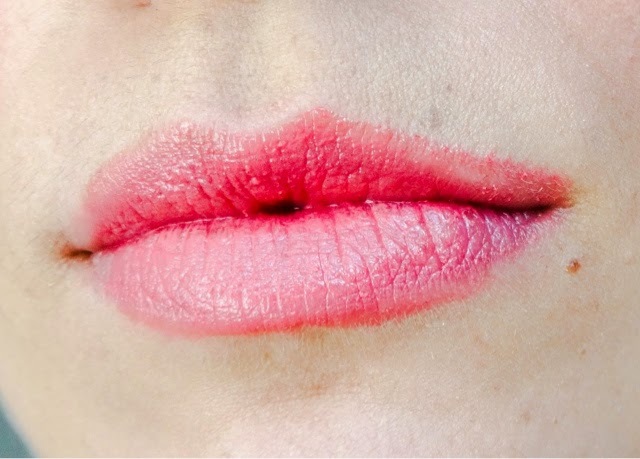 That also makes it ideal for contouring! I load it onto a small brush and put it down the sides of my nose to slim it down and define the shape, and I also load up a small Mac 168 blush brush and chisel out cheekbones and a jawline. 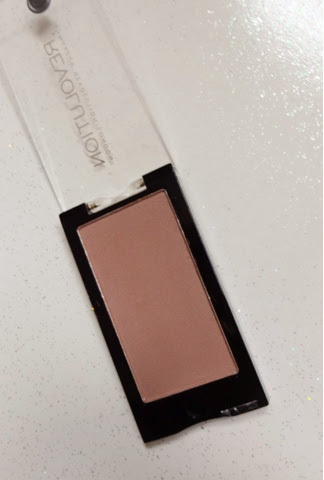 It’s a really natural looking shade that creates believeable shadows, so its better for contouring than any bronzer I’ve tried. The staying power is also great. A total win. Much like mascaras, with perfumes I only tend to wear a few that I really love rather than having lots of options. I’ve worn Chanel’s Coco Mademoiselle since I was 15 and my Dad bought me some and that’s been the scent I turn to for high days and holidays – I wore it when I graduated, when I got married – its been there at every milestone celebration. 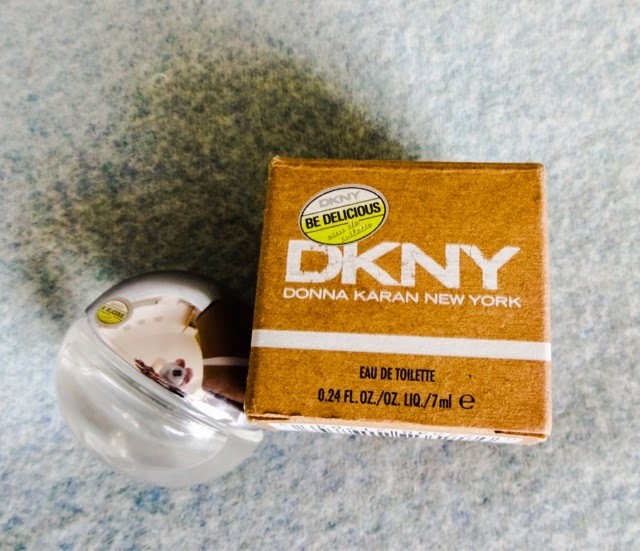 There are a few other I’ve had flirtations with over the years though and Be Delicious from DKNY is one of those. Recently, I rediscovered these great mini travel size versions of the scent and I’ve been wearing it every day. I like it a lot because its fresh and sweet without being sickly. But the real reason I wear it is because Seb loves it! When I first tried a spray of it, he decided he was its biggest fan. And I’m loving it too. Its quite uplifting and when I smell it, it just seems to give me a sense of relaxation and happiness – probably because I always buy these minis from the airport duty-free. Its definitely cheering up my autumn! 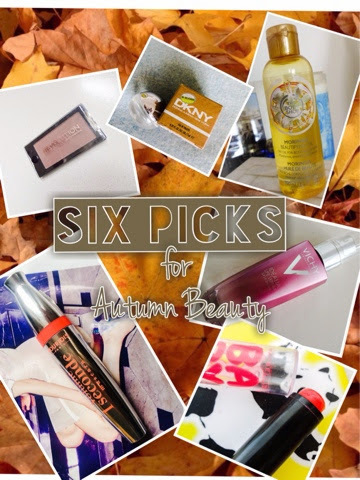 So, those are the six beauty picks rocking my world this autumn into winter. Have you tried any of these? What are you loving at the moment? Post me your links!